VICE President Constantino Chiwenga has hit out at MDC-Alliance leader Mr Nelson Chamisa for tarnishing the reputation of the Zimbabwe Electoral Commission (ZEC) by making unsubstantiated claims of impropriety against its members when he was an integral part of their selection into the electoral management body. VP Chiwenga said laws are not promulgated on the streets and anyone with issues with any piece of legislation should use Parliament as it is the forum through which legislation is promulgated. He said this while addressing a zanu-pf rally at Dingumuzi Stadium in Plumtree yesterday. “Some are afraid of going to elections and now want to implement things they should have done while in Parliament. There is no law that is made on the streets; laws are made in Parliament,” VP Chiwenga said. He said elections would not be stopped by demonstrations. “If people have issues with any piece of legislation they do not like, they should ask the people to vote for them so that they can change the laws to suit their needs. “Those who are attacking ZEC were part of the committee responsible for selection of ZEC members. They should know that when proclamation has been done there is no way elections can be stopped. They should wait for the next election,” the VP said. 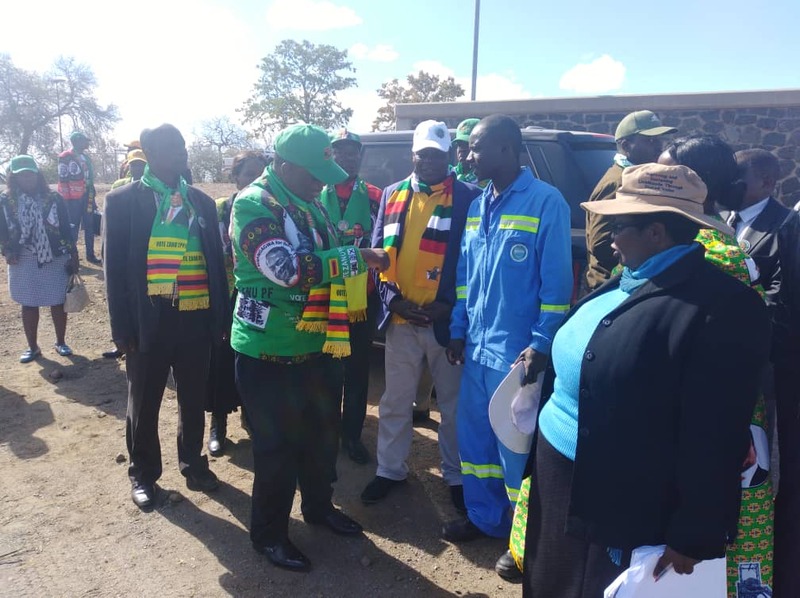 He urged zanu-pf members to continue their peaceful campaigns ahead of the July 30 elections. “You might have heard of the demonstrations in the streets (of Harare), but that will not work. “The days of throwing mud against each other are long gone. As Zimbabweans we should not do that because this game of politics is for mature people and not kids. So let’s go and vote in a peaceful way and bring results that will build Zimbabwe; a Zimbabwe that will be appreciated by our descendants,” VP Chiwenga said. Government, he said, was working on devolution which would see provinces benefitting from the wealth within them and also contributing to central Government. He said in the new dispensation, provincial Ministers would no longer be responsible for politics and sloganeering but would be ministers for economic development.